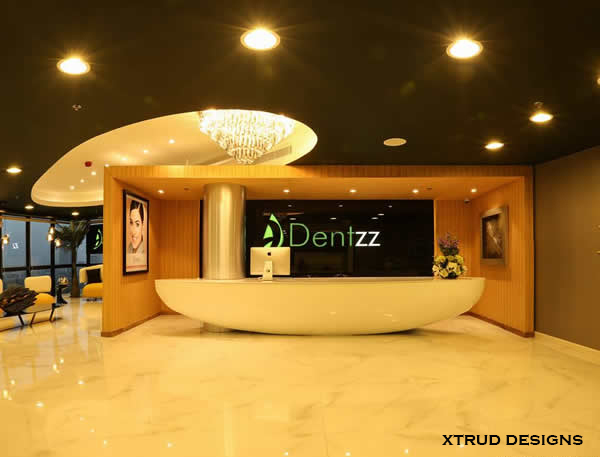 While we were working on the brief for this first clinic in Dubai for the brand, the instructions were crystal clear;’The look and feel should speak of nothing less than super luxury and grandeur, when one enters into one of the largest dental brands’ clinic in Dubai.’ This brief has been evidently achieved with a contemporary, elegant and super stylish reception space and waiting lounge. The operatories with cutting edge technology are designed for great efiiciency, style, luxury and comfort as the brand demands. This 3000 sft dental clinic has been our first foray into the international arena and there is more to come. Previous Previous post: A Smart and trendy compact apartment,Parel. Next Next post: An IT office in Andheri.Youthful yet corporate.